(BPT) – At its core, the desire to create a home with curb appeal is a desire to make a home uniquely one’s own. After all, no matter how beautiful they are, rows of homes that look the same inherently fail to capture attention. Using personal touches, people want friends and family to know which home is theirs. Among the dozens of affordable ways you can personalize your home’s curb appeal, the first tip from Better Homes and Gardens is to “dress up the front door.” One way they note to do that is by installing a custom wood door. If you’re planning a new home, or a remodel of your existing home, replacing the front door with an extra-large door is an impressive way to fashion a grand entry. To make a big impression, wood doors can be custom ordered in virtually any large size. For example, a door that is 5 feet wide by 8 feet high is almost two times larger than the typical front door, and is sure to capture the attention of visitors to your home. Wood door manufacturers recommend that if you have a large door, consider making it 2 1/4″ thick, which is a common thickness for a custom entry door. Wood door manufacturers offer a wide range of glass designs to complement your door. Depending on the look you prefer, these range from a full lite door, in which the glass extends from top to bottom, to quarter lite doors, in which the pane is limited to the top one-fourth of the door. Glass is tempered to resist breakage and to help keep intruders out. Additionally, you can choose from options with a wide range of transparency, to ensure the right balance of privacy and natural light for your situation. 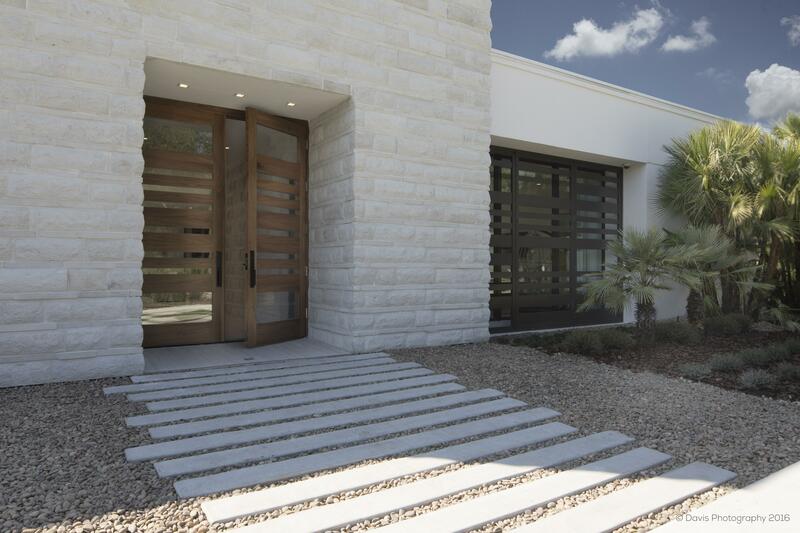 Although homeowners can choose from several different materials for their front door, wood allows greater flexibility for customization and creates enduring value. “It’s easy to understand why many of us still like our doors to be made of wood – nothing else matches the material’s warmth and satisfying heft,” says This Old House magazine. This entry was posted in Real Estate on April 26, 2017 by Mike.